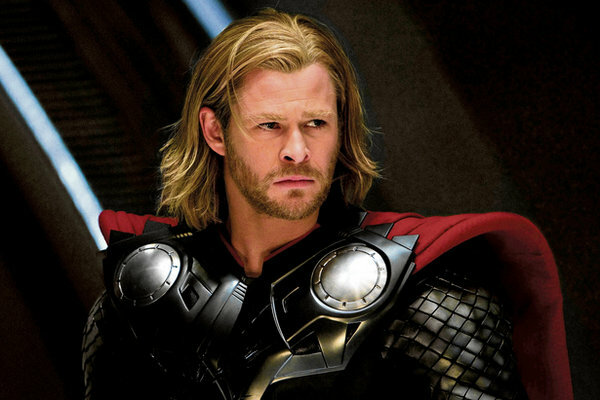 NEWS: Chris Hemsworth may encounter elves in Thor 2 | I Review Too . . .
Pre-production for Thor 2 is well underway with all of the principal cast returning and Game of Thrones’ director Alan Taylor set to take over directing duties. A couple of months ago Thor himself, Chris Hemsworth, revealed that shooting starts in August 2012 and that this Marvel sequel will have a stronger Norse influence and Viking-centric feel. In the past few weeks we’ve even heard news of which new faces are due to appear with Zachary Levi stepping into the boots of Fandral and Danish powerhouse Mads Mikkelsen in line to play one of the movie’s big baddies. This much we know. Whilst not giving away too much, this does reveal that Thor will indeed encounter elves in the 2013 sequel. This in turn would support DirectorsLive.com‘s theory that Mads Mikkelson could be playing Malekith The Accursed a super villain and ruler of the Dark Elves of Svartlalfheim. In the Marvel universe Malekith is described as having a keen intellect and super human strength and speed, he also has the ability to teleport and project energy. This elf villain first appeared back in Thor #344 with his most prominent story arc involving an alliance with Loki in order to secure the Casket of Ancient Winters, a weapon which allows its owner to control the icy conditions of the Niflheim and gradually grow younger. It’s important to note that there are a number of different elves in the Thor universe (both good and bad) and that this is just one possible story route screenwriter Robert Rodat could have chosen to explore. Will Malekith The Accursed feel the thwack of Thor’s hammer? Only time will tell. Thor 2 is set for release on November 15th 2013. Words and interview by Simon Bland. You can follow me on Twitter by clicking right here. Posted in Cool, Features, Film and tagged Alan Taylor, Casket of Ancient Winters, Chris Hemsworth, Danish, Dark Elves of Svartlafheim, Director, DirectorsLive.com, Elf, Elves, Fandral, James Grogan, Mads Mikkelsen, Malekith The Accursed, Marvel, Natalie Portman, Simon Bland, Stunts, Thor 2, Villain, Zachary Levi. Bookmark the permalink.